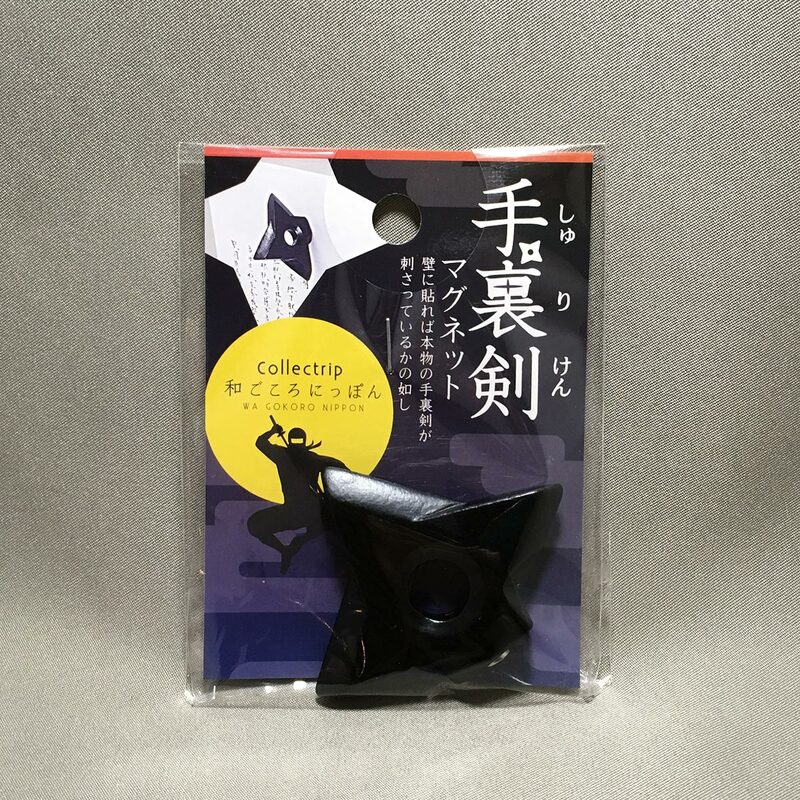 Your fridge door magnet collection will not be complete without this sleek matte black finish ninja shuriken magnet. 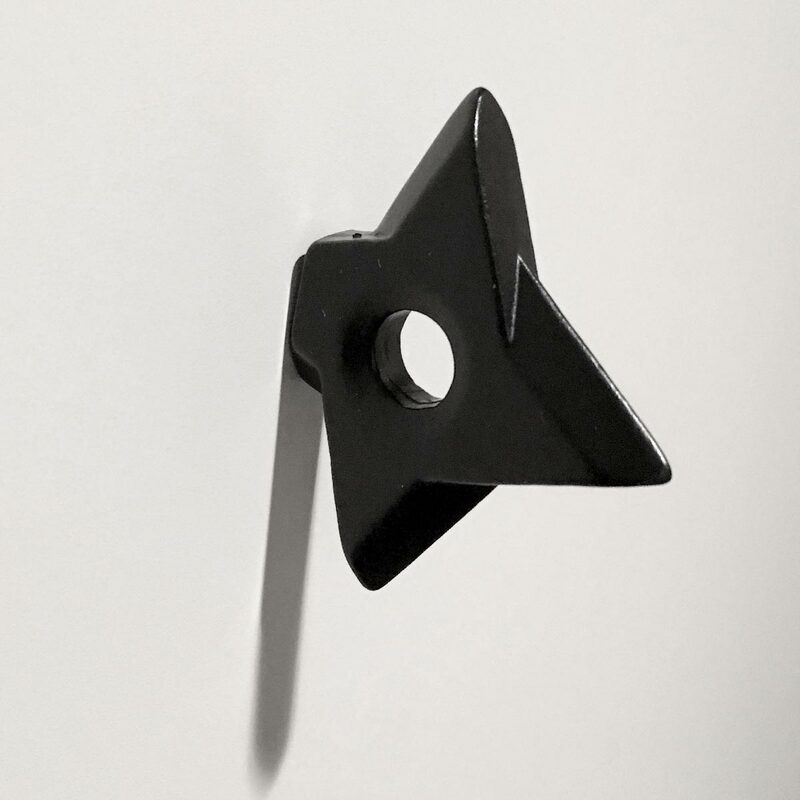 The shuriken magnet will stick to any metallic surface, making it appear as it is stuck into the surface. 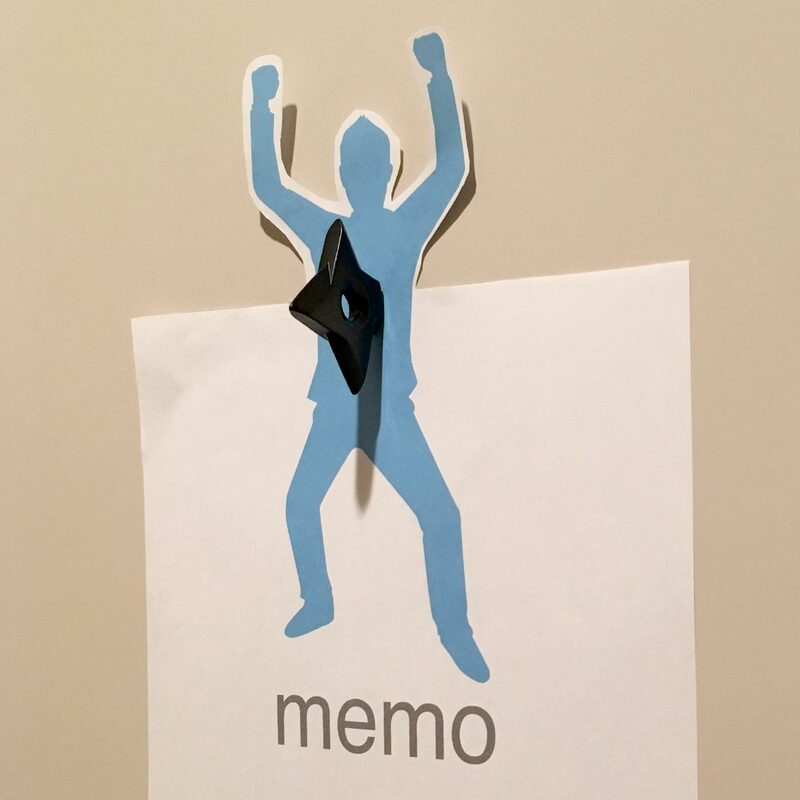 Watch people’s reactions when they see it stuck to the fridge! 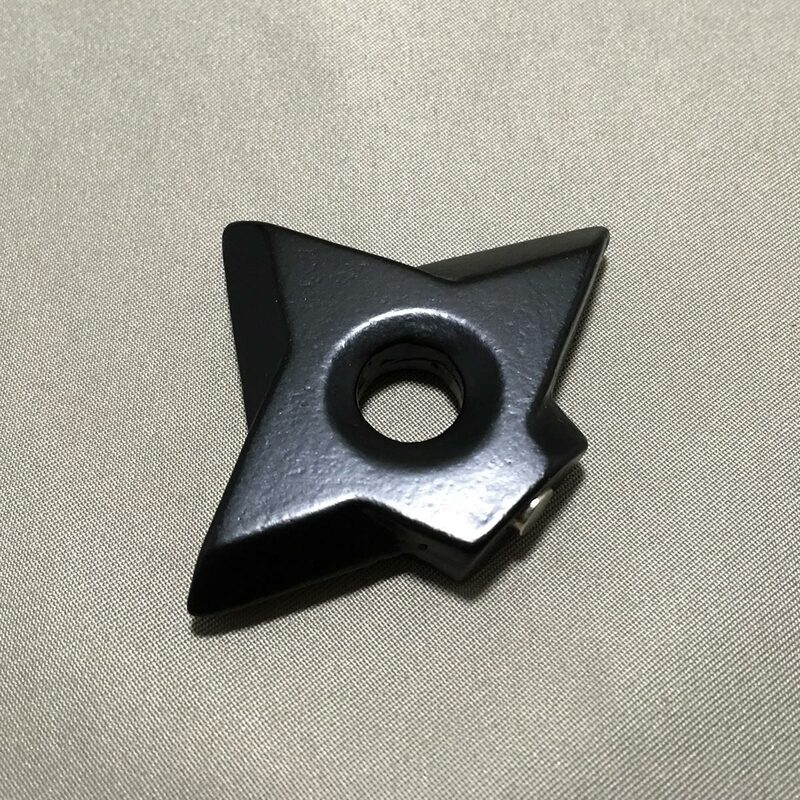 The shuriken has one small circular magnet on the flat end, and is strong enough to hold a note when it is stuck to the metal surface. – Do not place near magnetic products, electrical equipment, clocks or magnetically sensitive items. – Do not stick onto ovens or hot surfaces. – May cause serious injuries if swallowed. Keep out of reach of children. – Colour may fade if exposed to strong light. – Handle the product with care to prevent damages. – Do not use the product if product is damaged. 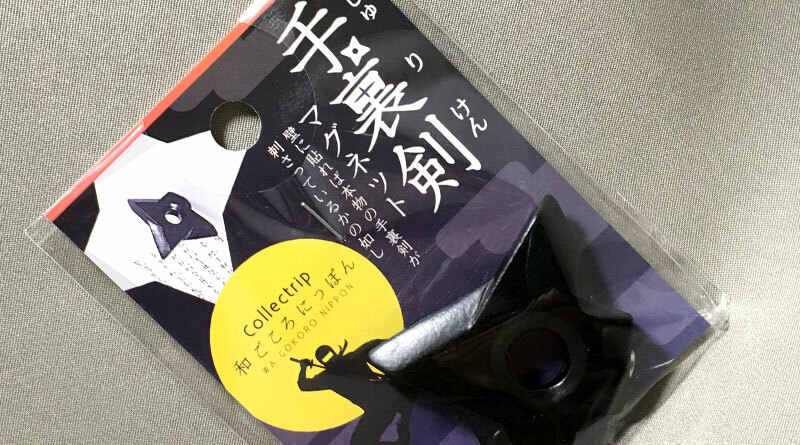 I have always wanted one of these on my fridge, but the ones I saw were quite expensive, about 2000 yen for 2, so this shuriken magnet is a bargain at 100 yen. The feel of the shuriken is very solid. There are some small rough spots, but they are not very apparent from a distance. 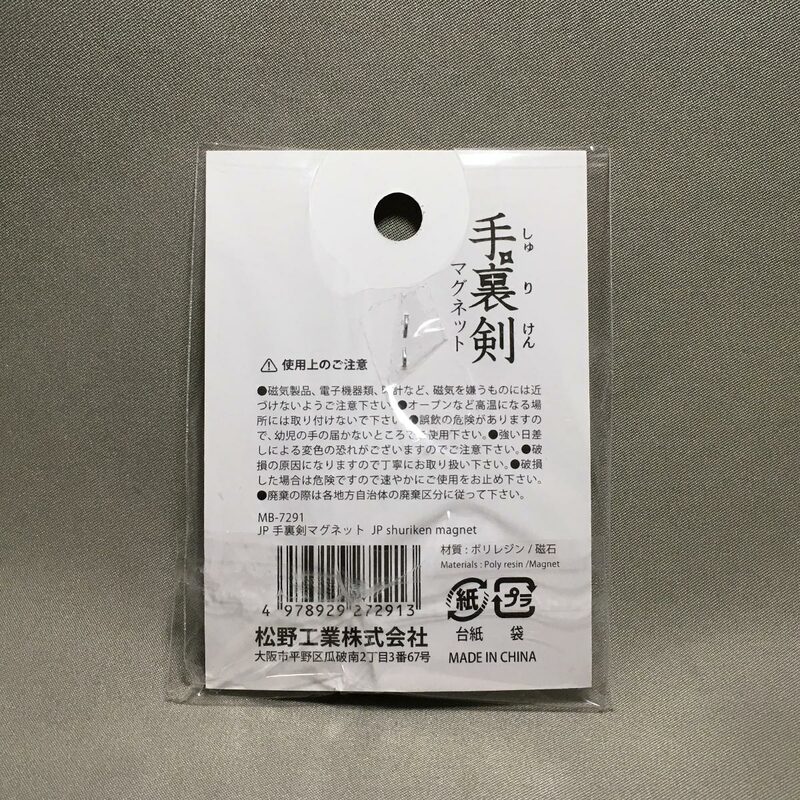 The flat end of the shuriken has is only one small magnet, whereas the more expensive shuriken mentioned above has 2 small magnets which holds better. The magnet also sticks out a bit from the flat end, which doesn’t create a big problem. 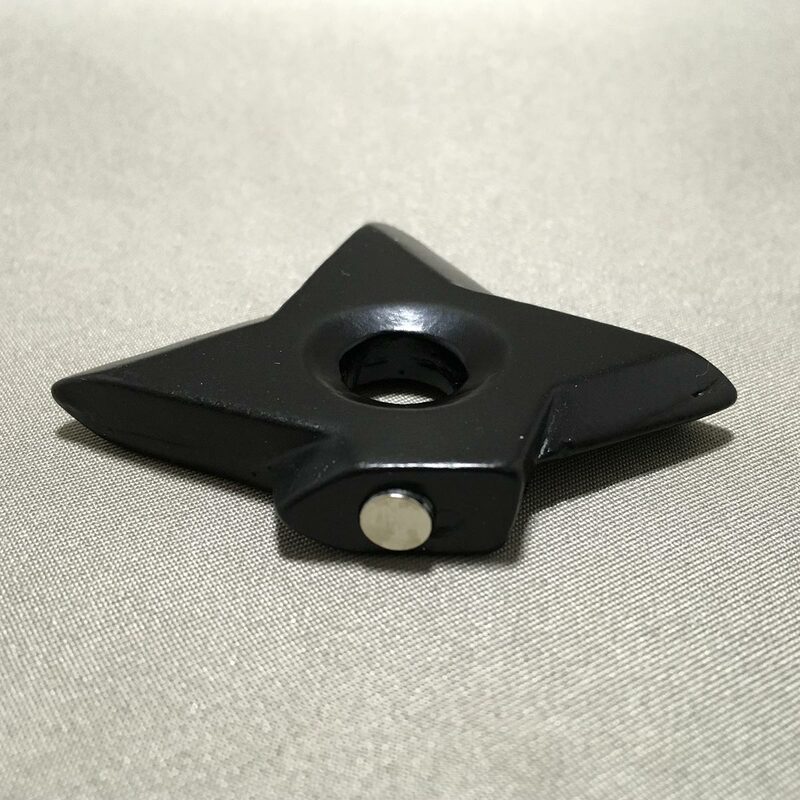 However, the more expensive shuriken magnets have the magnets inserted flush to the flat end, giving it a real effect of it cutting into the surface. For 100 yen, this is a great novelty item to buy as gifts for friends, or just for yourself to add some fun into your home. Helmi, thank you for the order for 12 Shuriken Magnets!